I had run my first marathon a couple of years before. However, I had not sustained that fitness level. My eating habits reflected the depression I was experiencing following the breakup of my thirty year marriage relationship, so I set out to get back in shape. After an intense three months of diet and exercise, I felt good about reaching my goals, and I decided to reward myself. My first thought was to eat a big steak dinner, which I scaled down to a deluxe hamburger to stay within my food budget. I topped my food fantasies with the idea of gorging myself on a homemade banana cream pie. Of course, these gastronomic misadventures were what put me on the weight-loss path to begin with. When I asked myself what I really wanted, it hit me. 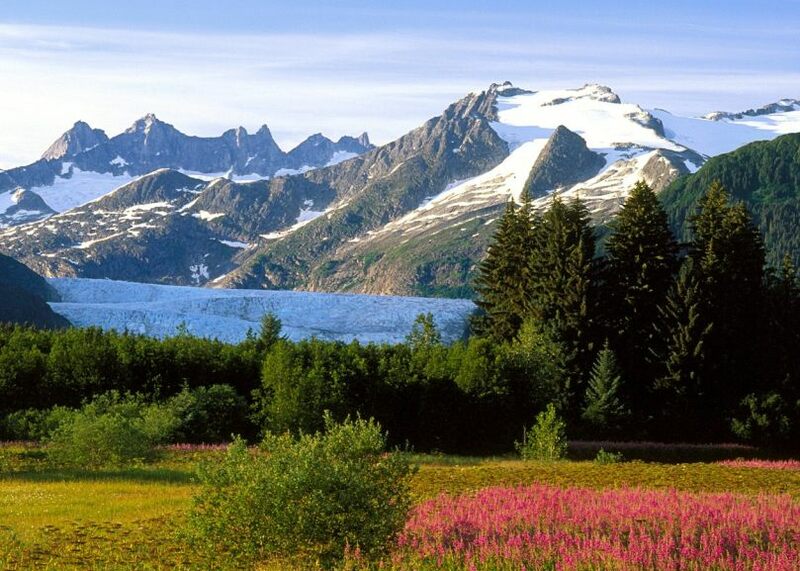 There were two things I had never done and always wanted to do: 1) visit Alaska, and 2) take a cruise. I could accomplish both at one time! Since I was unattached, I researched singles cruises. As it happened a singles group had openings on a cruise that July which fit with my vacation schedule. Sharing a stateroom with another single was a great way to save money, so I booked it. As people signed up, we introduced ourselves to one another via email. I learned quickly that more women cruise than men. Of the sixteen people in our group, thirteen were women. Although I did not mind the odds, I was a bit nervous thinking I was older than most members of the group. Just to make sure I was putting my best self forward, I bought some new dress clothes. I also had my hair styled including dying out the gray. I was ready. We decided to stay in touch after our cruise. Florence lived in Glendale, California. I was in Olympia, Washington. We maintained a long distance relationship for awhile, which was stressful. She took vacations in Washington with me (and filled my freezer with home-cooked meals). I visited her at her home in Las Vegas. I met lots of her Italian family at Thanksgiving. We decided then that we should be together, and by Christmas she and I had a home together in Olympia. The rest, as they say, is history. All this occurred in 2005. Florence and I were married in 2007. I retired in 2011, and we have been traveling the world together ever since. 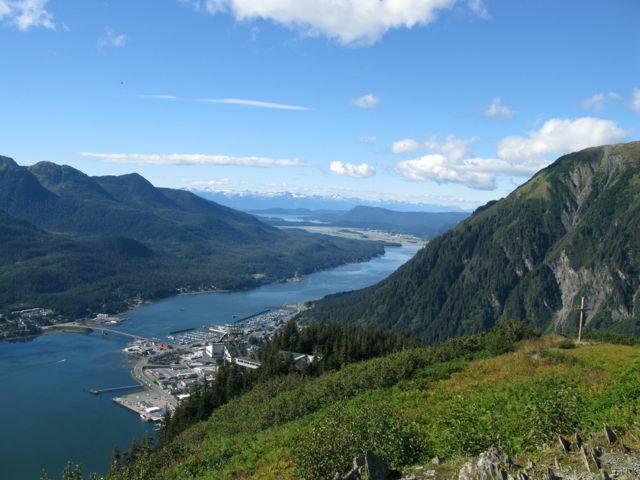 This entry was posted in Food, Retirement, Travel, Travel, My Life, Vacation and tagged Alaska, Cruise, Expat, Global Explorer Club, Lince, Lince's Leisure Vacations, love, Romance. I should have put this story out for Valentines Day. It has that sort of romantic sentiment to it. I am glad you enjoyed it, Celeste, and many happy returns to you and Paul. Call me a romantic, but I think romantic sentiment is appropriate everyday. It’s a beautiful story. I want the ‘mushy’ stuff please. I agree it is always difficult knowing some people in your audience know read your stories and genuinely know you. I sometimes find that when writing about my family! Anyway, I loved your ‘Love Boat’ story. Thank you for sharing it. Well, yeah, I sure do! Thanks, Dawn! You happened to choose the simplest and best pickup line, one which I have used as well (my name is the same, so that helps). As I look back, I am glad I didn’t try to use this pickup line too much when I was younger, or I certainly wouldn’t be batting 1.000 with it now. Thank you for commenting, Mike. Awww! Gave me chills. I love your story. That is nice of you to share – thank you. Great story and wonderful experience. I think the second time around, we manage to get it right, don’t we? Thanks for stopping by and giving me a LIKE! Exactly! Thank you for sharing your comments. what a fun concept for a blog! i will be following along!May I ask how you found me and why you visited and why you :”liked it”? And the all important question, will you come back? Our common thread was your post was also freshly printed in the ‘Grandchildren’ category. I like to see what others like me have to say. Keep writing and I’ll keep reading. I hope you are really enjoying those grandchildren1 i have mine everyday after school now and often before it lets out as they both have had some sickness. We plan a big egg dyeing and painting party for Thurs afternoon. I am going to do my best to remember to take the pictures for the blog! The holidays are the best, and the photos are a great way to remember these fleeting years. Thank goodness for Skype so I can visit remotely with my grandson. I am so glad that I went back to comment now. Your love story echoes some of the ones I have been told and shared on my blog. I thoroughly enjoyed the story and am glad that you have your happy ending, shared is always better! What stunning photos! Thanks for stopping by my blog. You’re a wise man – quitting while you’re ahead. Congratulations on your perfect game. You are welcome, Brenda, and thank you for your thoughtful comments. What a great and charming story! You have a lot of courage, charm and humor. I’m so happy you were rewarded for it! Beautiful photos! 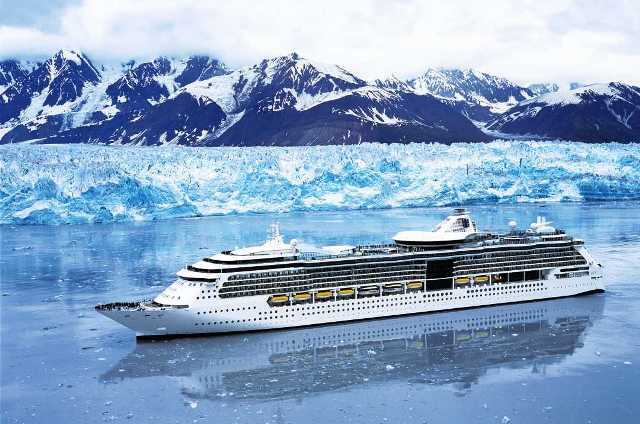 I loved my Alaskan cruise, too. Yours was especially great, because you met Florence. Thank you, Catherine. I felt our story was too good not to share. I am pleased to know you enjoyed it. You are welcome, and thank you for the kind comment. A success story in favor of “singles” cruises! Great. I could never do it, but kudos to you! Thanks for stopping by my blog, too.